The damaging affects from storms and the elements can often create structural problems that may go undetected within the steeple. When it is discovered the compromised support structure is often considered unrepairable to the common contractor. 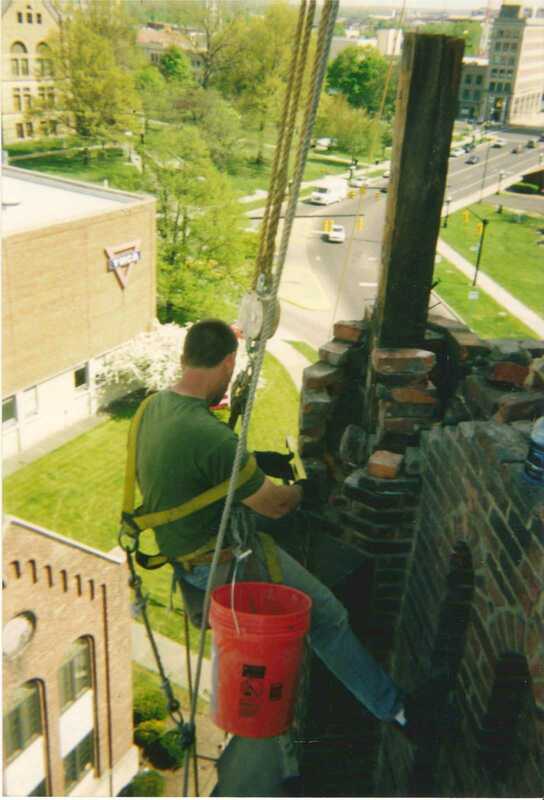 However, the steeple restoration experts of Inspired Heights are experienced in repairing steeple structures in place, saving the steeple and saving the church thousands. 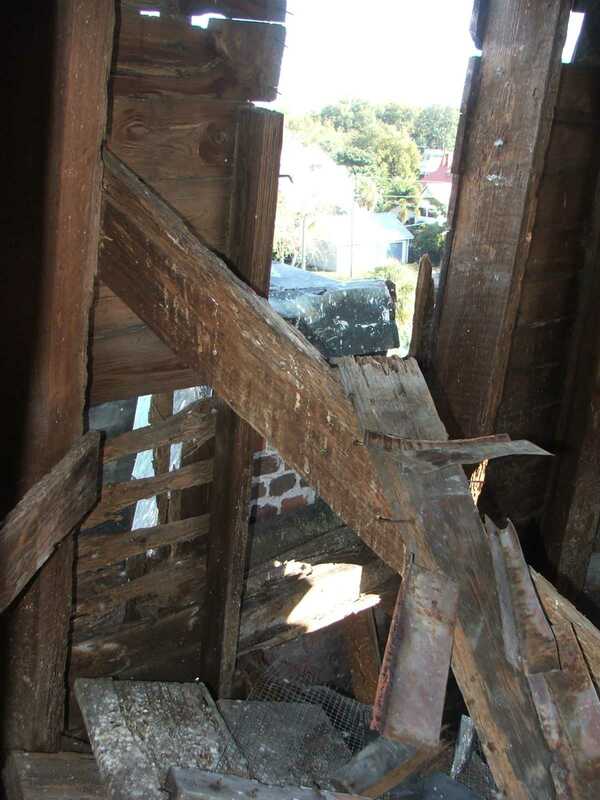 During routine repairs it is not uncommon to find extensive damage to the steeple's structure. 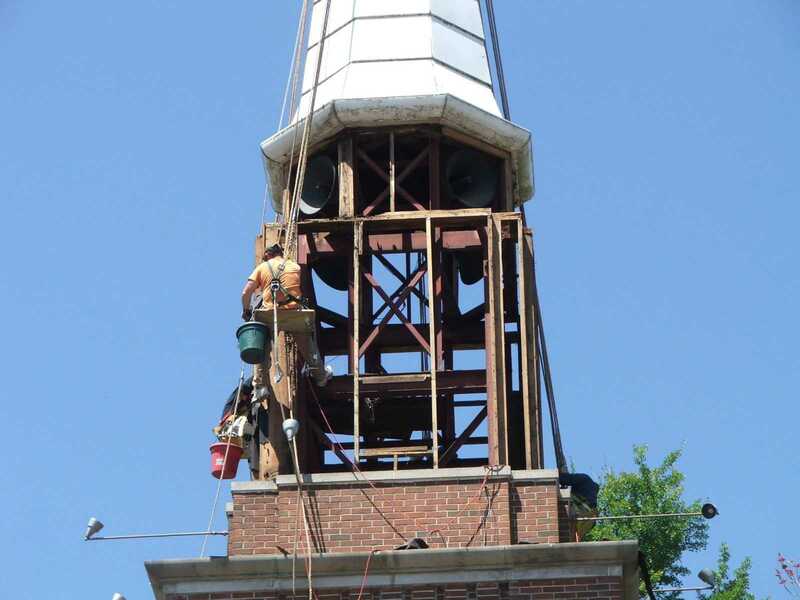 The experienced steeple restoration experts of Inspired Heights can recognize and quickly adjust the project specifications to repair any serious structural issues that may arise. Steeple structures may fail for numerous reasons but amongst the most common are water deterioration, storm damage, poor design and even animal feces. Sometimes caused by poor design, i.e. louvers that don't properly deflect water, but most commonly the structural damage caused by water enters through small leaks that go undetected for years. Sadly, with proper maintenance it could have been prevented. Nonetheless, these small leaks that run down behind the ridge caps, come through failed seams in the metal, compromised mortar joints and the likes may never enter the church yet still cause devastating damage. 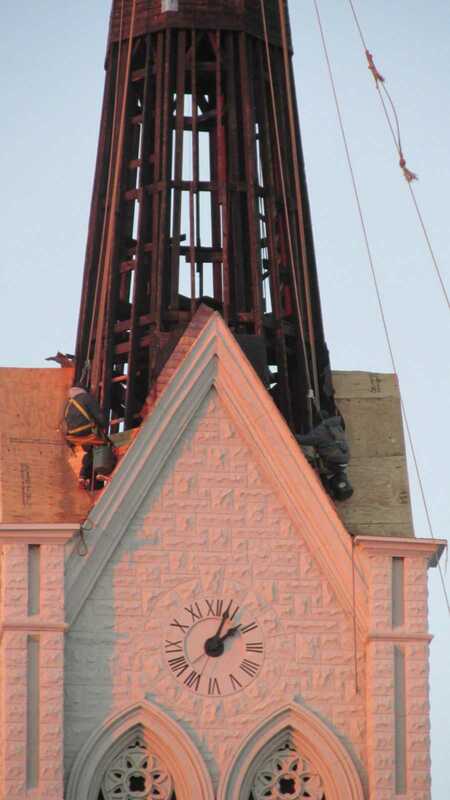 Lightning strikes and strong winds associated with storms can be another cause of damage to the church steeple. 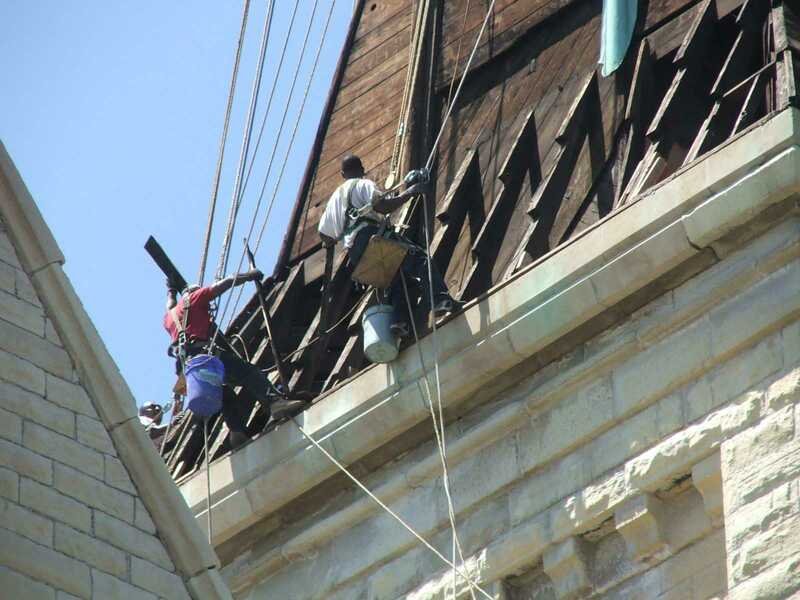 The damage can range from a few missing shingles to structural compromises to the steeple that require the experience of steeple specialists.